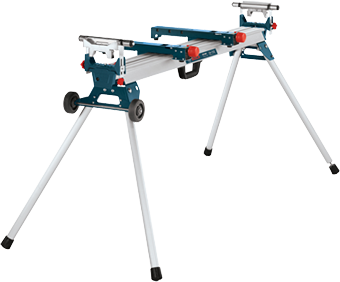 The Bosch GTA3800 Folding-Leg Miter Saw Stand with Wheels features an industrial-tough design and is an indispensable accessory for mounting miter saws on job sites and moving between work areas without dismounting the saw. 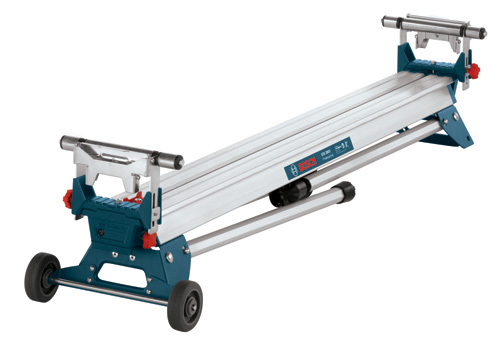 This light and strong stand fits most miter saws on the market, including the Bosch 12-in., 10-in. and 8-1/2-in. single- and dual-bevel miter saws – as well as competitor saws. 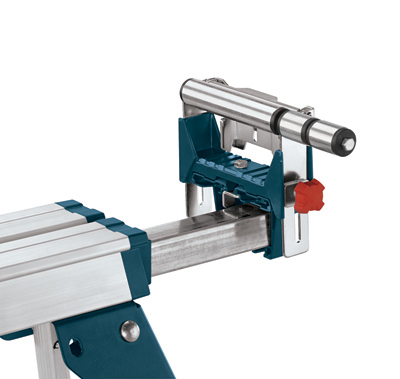 The stand has smooth end rollers that are modifiable in height to match the height of the user's miter saw. Adjustable rails on the compact miter-saw stand hold workpieces up to 16 Ft., and they have stops to set up for duplicate cutting. The adjustable leveling foot works on uneven surfaces. 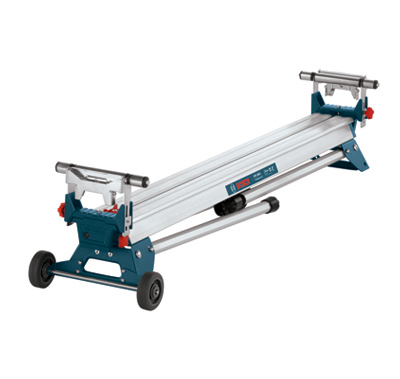 The stand is equipped with transport wheels for easily moving it from location to location without removing the saw. Vertical Height of Stand 32.5"